Sradha Webcreations is a global company that deals with a wide range of enterprise/ Corporate level software & Website that is easy to operate and understand.Our clients include proposals both from public and private sector parties.We have a team of young, energetic, experienced team of professionals . This is done by eliminating unproductive tasks, automatic routing process and giving visibility into the process for better decision making. SEO PPC is a valuable and necessary task when trying to make a decision of whether or not it’s the right fit for Online Branding Of your business. we also deal with digital signature. 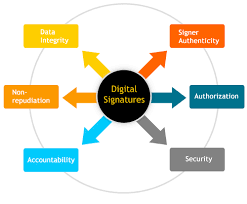 A digital signature is a mathematical technique used to validate the authenticity and integrity of a message, software or digital document. The digital signature can be considered as a numerical value that is represented as a sequence of characters. The creation of a digital signature is a complex mathematical process that can only be created by a computer.